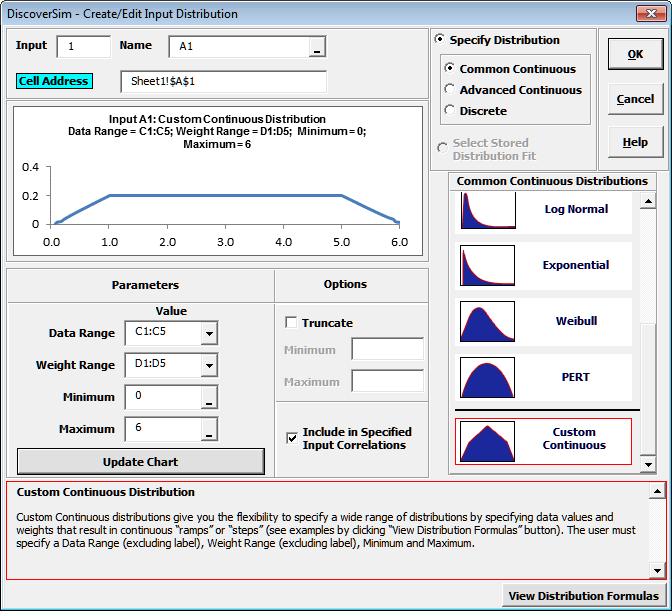 Custom continuous distributions give you the flexibility to specify a wide range of distributions by specifying data values and weights that result in continuous “ramps” or “steps” as shown in the following examples. 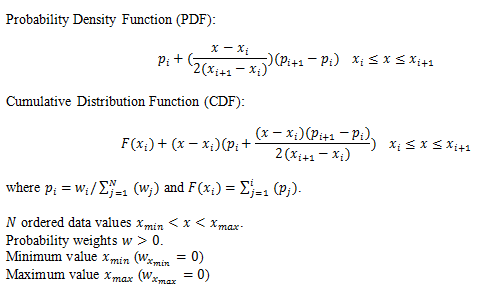 The user must specify a Data Range (excluding label), Weight Range (excluding label), Minimum and Maximum. Click here to download a Free 30-Day Trial.